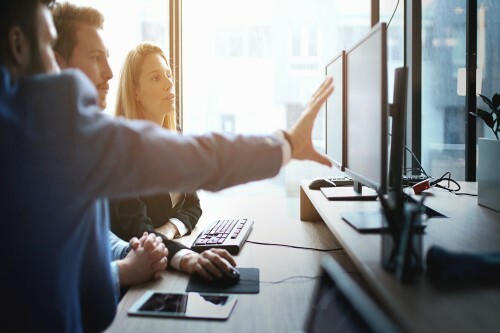 Lenders and investors can now establish secure system-to-system workflows through Ellie Mae’s cloud-based Connect platform. The mortgage software firm says that the new Encompass Investor Connect product replaces its previous Data & Docs solution; and ensures delivery of accurate, compliant, and tamper-proofed loan data and docs. “Ellie Mae is furthering our promise of a true digital mortgage by offering the first block of trusted data and seamlessly transferring it directly to investors, eliminating the need for imaging, indexing and revalidation,” said Joe Tyrrell, executive vice president of Corporate Strategy for Ellie Mae. The firm has partnerships with correspondent investors including Caliber Home Loans, Inc., Flagstar Bank, Pacific Union Financial and Wells Fargo; and intends to add more. Ellie Mae has also announced this week that its Encompass Data Connect product is now available to all lenders using its Encompass NG mortgage solution. “The early adopters of Encompass Data Connect are already leveraging the power of the solution to not just gain greater insight into their business, but to incorporate machine learning, artificial intelligence and process automation into their specific vision for their own unique digital mortgage,” added Tyrrell.